But it's better thank that, because Baker Days make cakes that can be personalised with anything you like, words, photos, designs, kids pictures, anything! 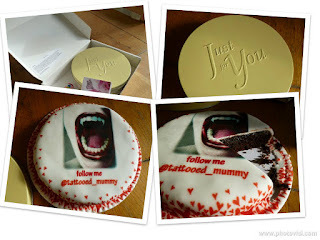 You email them the idea (or design your cake online on their website) and they make it and post it to you, or to your recipient. 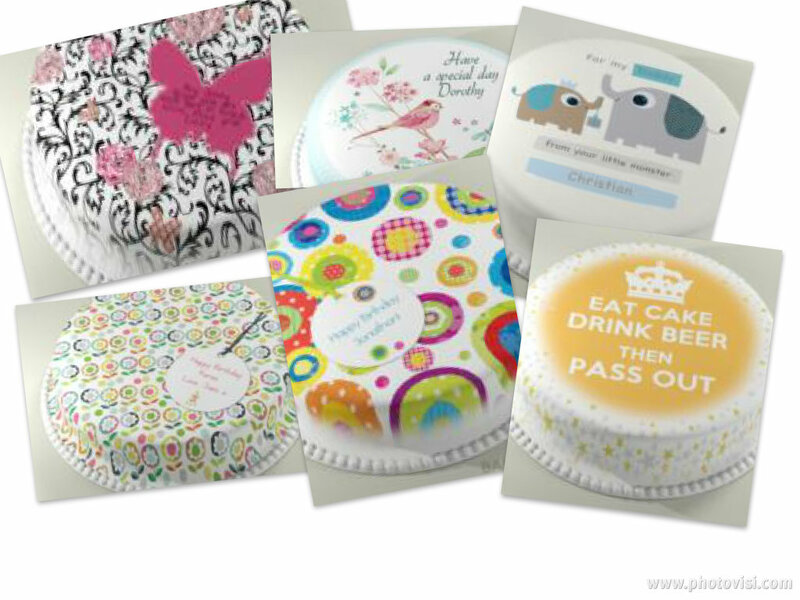 Perfect for last minute birthday treats, congratulations, new babies ...even a 'Here, have some cake' Cake! and I couldn't wait to see how it looked on an actual cake! (I was a little worried about it getting damaged in the post too - but those Bakers are also expert cake packers!) here is what I received, a sweet (pun intended) little cake that fits neatly through a letter box,(so no one has to be around to sign for it - perfect if you are sending a gift) beautifully packaged in a keepsake tin, and the cake tasted delicious, seriously good, we opted for double choc...moist chocolately heaven (yes the cake was free but this is too important to exaggerate, the cake was scrumptious!) I didn't want to share, but protestations that 'it's my avatar therefore my cake' went ignored as DD and DH dived in for a slice. Would I use this company again? Yes, they are not a cheap option but you really do get value for money, a beautiful cake that tastes marvellous. And a little tin to keep afterwards. Letterbox Cakes 3-4 portions - 5 inch cakes (12cm x 2.5cm) start at £14.99 (with free delivery) and are perfect as a gift for someone to share (or shovel down the whole cake if they are a pig like me) I chose a chocolate option but there are plain, and fruit choices too, and even gluten free cakes! 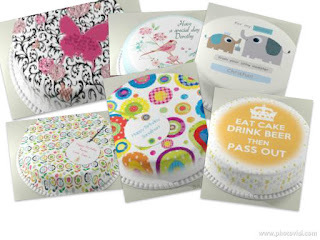 There are various other sizes available right up to 50 serving cakes! And cup cakes too, Do take a look.